GM says 370,000 Chevy Cruzes are now included in the investigation. The National Highway Traffic Safety Administration has widened its investigation of engine fires in the Chevrolet Cruze to include the 2012 model year. In April, the agency announced it was probing about 177,000 2011 Cruzes after reports of two fires that engulfed and destroyed two vehicles. In documents posted on its Web site this week, NHTSA said it's now also investigating the 2012 model. GM spokesman Alan Adler said 370,000 vehicles are now included in the investigation. In an April 4 letter to GM, NHTSA requested data from the automaker by May 11. Adler said GM responded to 10 of NHTSA's 12 questions, and got an extension on the other two. No documentation of GM's response was available on NHTSA's website. Though the Cruze hasn't been recalled, these types of NHTSA investigations can lead to vehicle recalls. There have been no reported injuries or accidents resulting from the fires being investigated, and Adler said GM is also investigating several fires, but wouldn't comment on the number being investigated. On April 29, according to a complaint to NHTSA, a driver reported that flames burst through the front of a 2012 Cruze while traveling at about 45 miles per hour. No injuries were reported, and the fire department was called to extinguish the blaze. 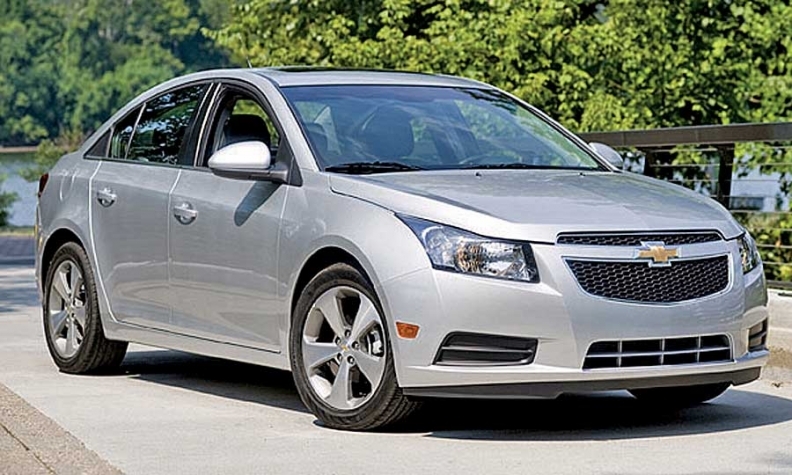 GM sold 18,205 Cruzes in April, down 28 percent from the same month last year. It sold 75,288 of the vehicles through the first four months of 2012, down slightly from sales of 75,365 during the same period last year, according to the Automotive News Data Center. Separately, GM said it is recalling 4,304 Chevrolet Malibu Eco cars sold in the United States to reprogram a module that controls airbag deployments. GM said in what it described as rare cases under extremely aggressive turning, the roof rail airbags in some 2013 model year Malibu Ecos might inflate. It also said in another scenario it described as rarer that the airbags and safety belt pretensioners might not deploy. GM said no crashes or injuries have been reported related to this issue. GM said it discovered the problem during a development test in which one of the cars was performing extreme maneuvers. It said letters will be mailed to car owners on June 1 with instructions to have the reprogramming done at no cost at a dealer.